On November 16th & 17th, thirty-one students and two student coaches attended the Hoopnics Basketball Clinic at Swan Hills School. Students enthusiastically embraced their clinic with Coach Chris Nichol. 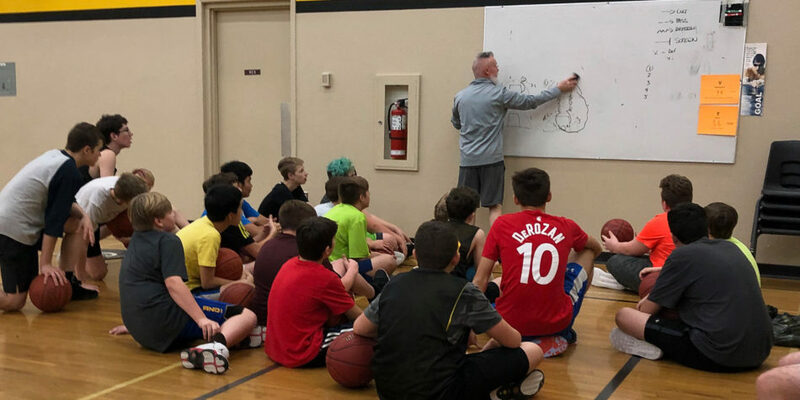 Coach Nichol is the Dean of Kinesiology at Grande Prairie College and has coached college basketball teams and operated clinics across Canada, the United States, Trinidad, and Europe. He advocates a philosophy which includes being a good teammate, striving to be a kind person and having fun in sports at any level of play. Mr. Linger and Mrs. Hooey are proud of the active participation the students displayed at the Clinic and look forward to the upcoming 2018-2019 season. Go Grizzlies!! Click here to view a slideshow from the clinic in our photo galleries.